ZAROS. 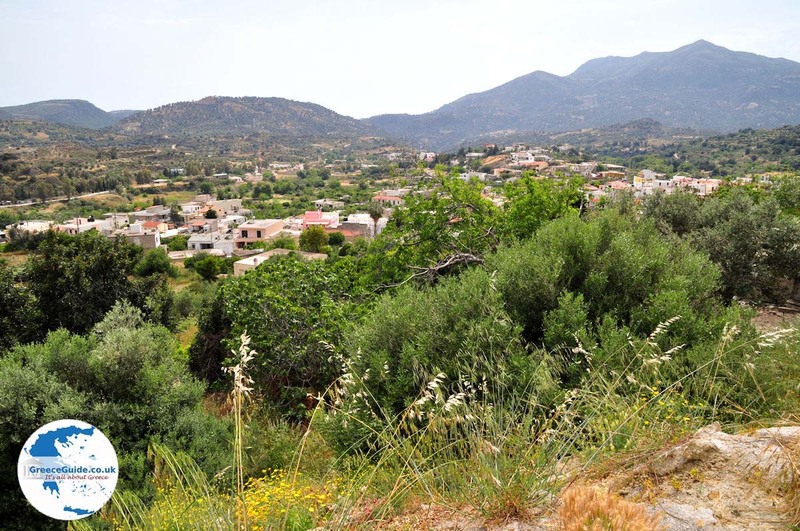 Zaros is a typical Cretan village, located south of the Ida Mountains and 10 kilometres north of the town of Mires. It is a historic village which is fairly large in proportion and it has approximately 2000 inhabitants. Most residents are farmers. 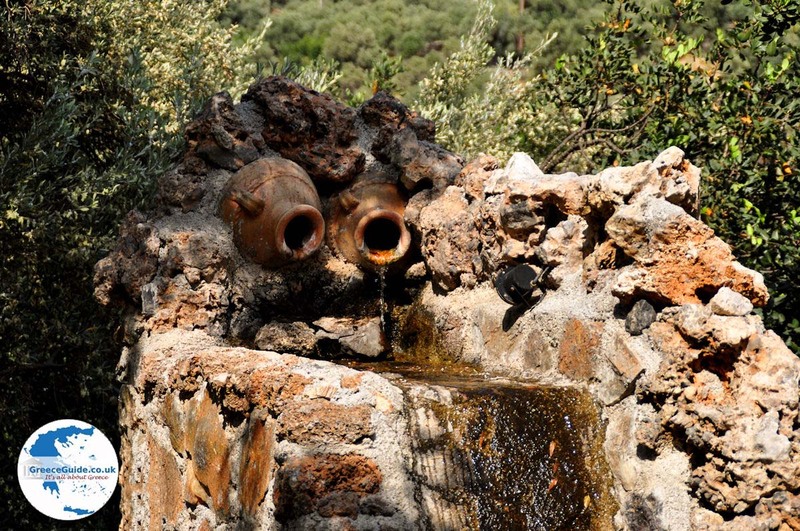 Zaros is known throughout Greece due to the exploitation of drinking water in the area, a well-known brand is the "Zaros" water. The village has a village centre with various cafes, bakeries and mini markets. The lake of Zaros. Northwest of Zaros is the famous lake where trout swim. It is a beautiful area with lots of greenery. 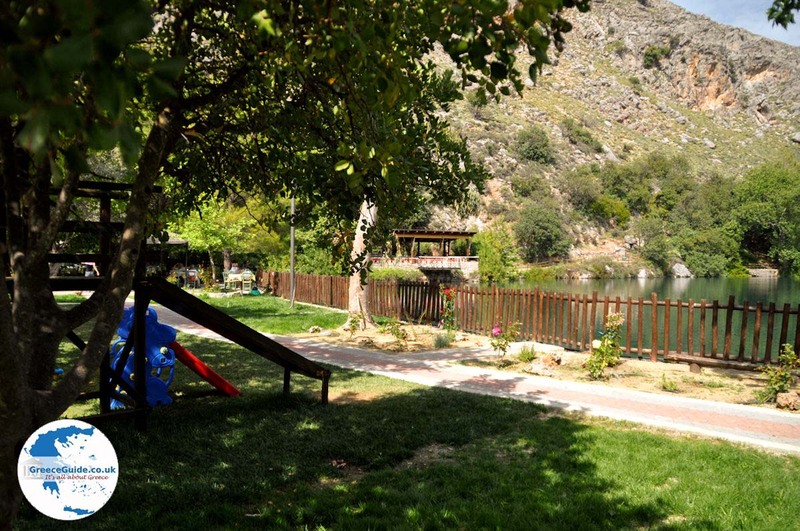 Next to the lake is a very good taverna called "I Limni" (this literally means lake). 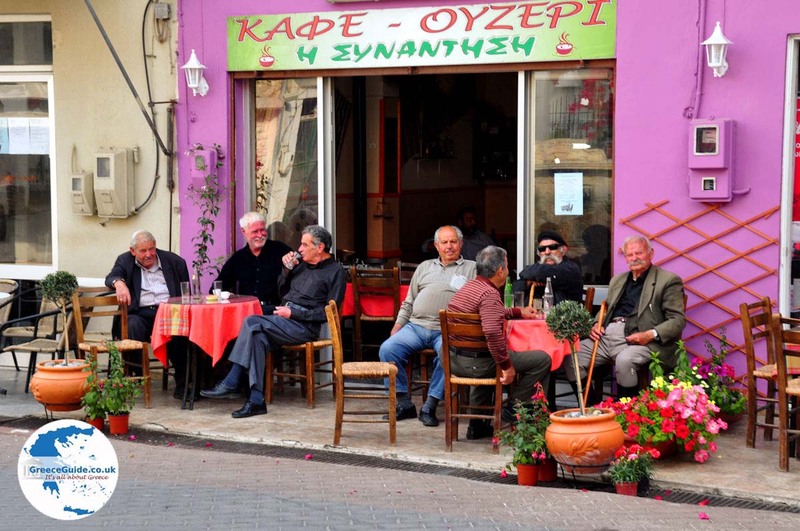 The owners have a pretty traditional taverna built here with a quiet and very pleasant atmosphere. 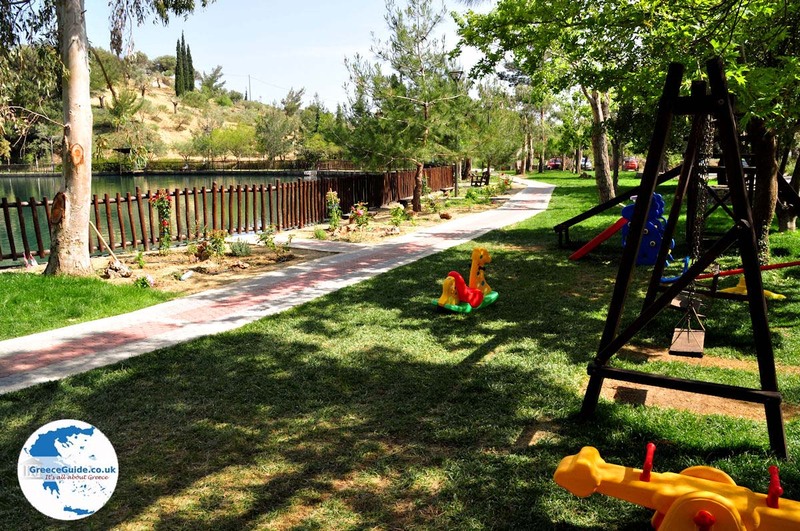 There are a number of playgrounds for children and for cars there is ample parking. Walking Zaros. In the area around Zaros there are a lot of hiking or rather mountain trails where you can go hiking. 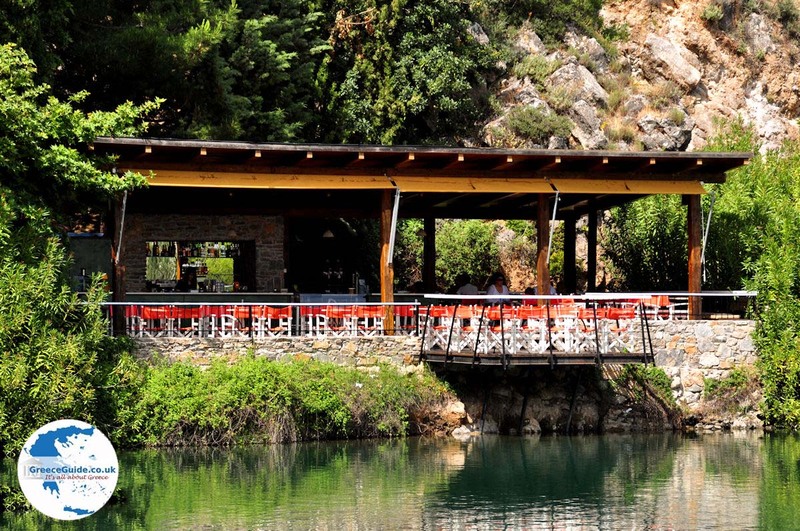 There are several routes that one can do, such as to the Byzantine church of Agios Nikolaos which is located in the most important gorge in central Crete and Mount Ida. 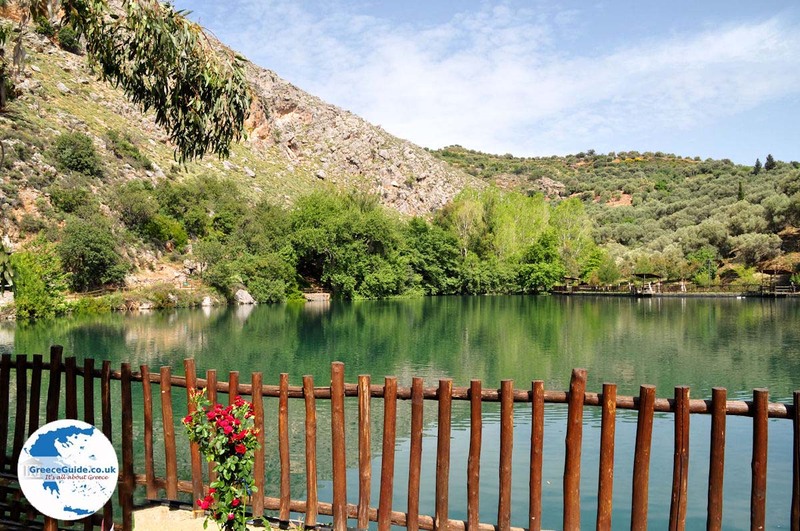 The trail is about 11 kilometres long and you will pass all sorts of forests, you will see the beautiful flora and fauna and the interesting geological formations of the rocks. 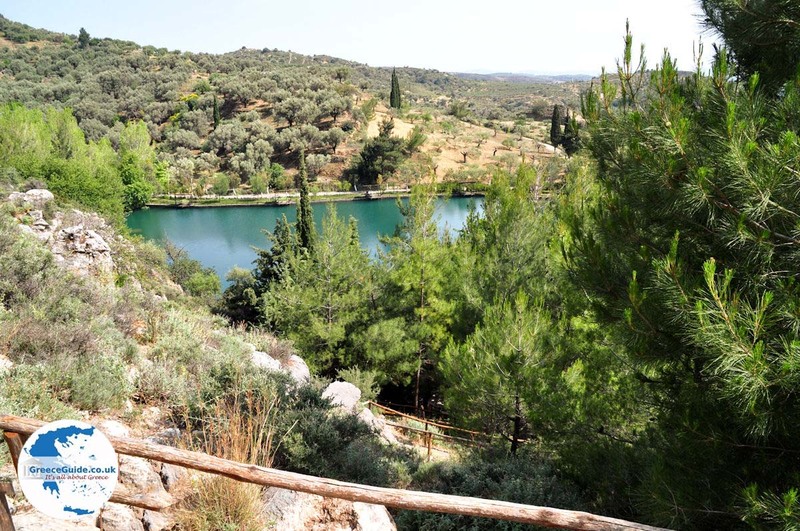 After 2.5 kilometres, you walk into the forest of Rouvas, one of the few forests in Greece where oak trees are visible. 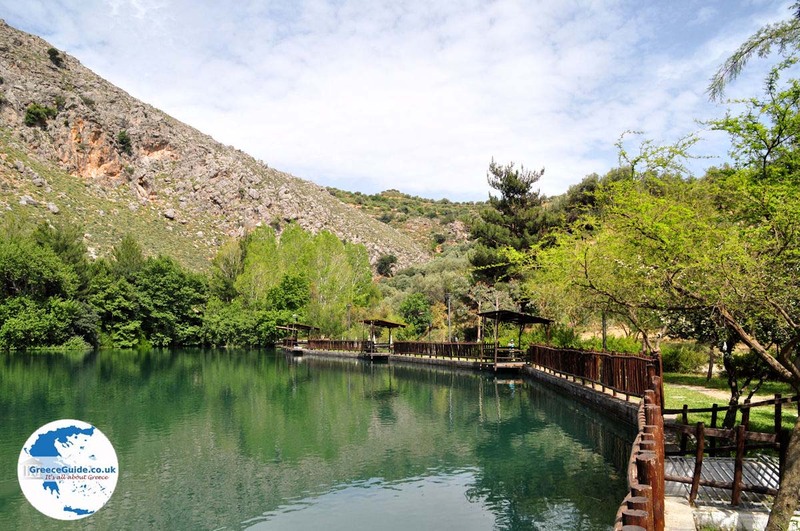 There are several routes such as the route to the dam of Faneromeni (total length 15 km), the route to the monastery Vrontisi (total length 7.7 km), the route to the cave of Kamares (total length 8.3 kilometres ) and many other hiking trails. Some routes are even available for mountain bikers. There are beautiful hiking maps of the area, which can be purchased at Eleonas, who has guest houses/apartments located 1 kilometre northwest of Zaros. 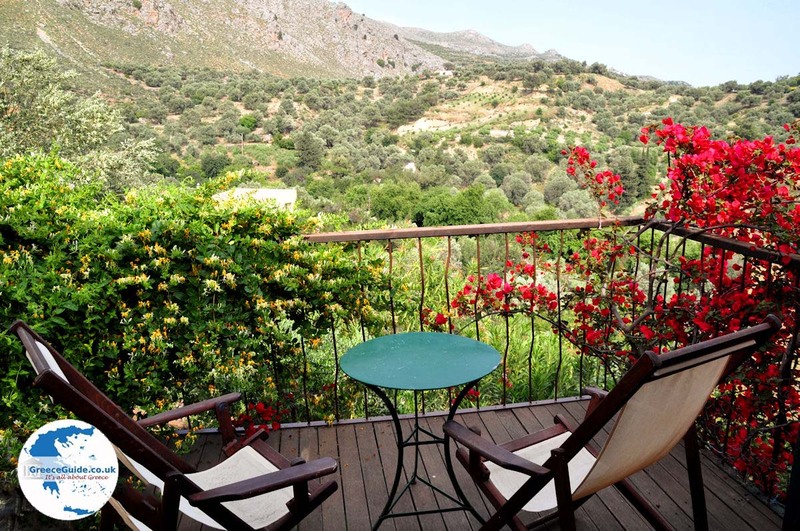 These apartments are located in a beautiful area at about 400 m altitude in the middle of olive trees. They are beautiful accommodation with many amenities. 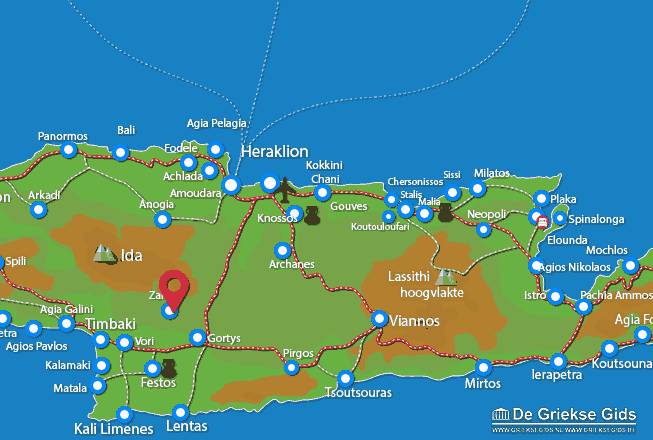 Heraklion Prefecture: Where on the map is Zaros located?